70 Series Stainless Steel Horizontally Mounted Vertical Float Switch - Deeter Electronics Ltd. 70 Series Stainless Steel Horizontally Mounted Vertical Float Switch - Deeter Electronics Ltd. 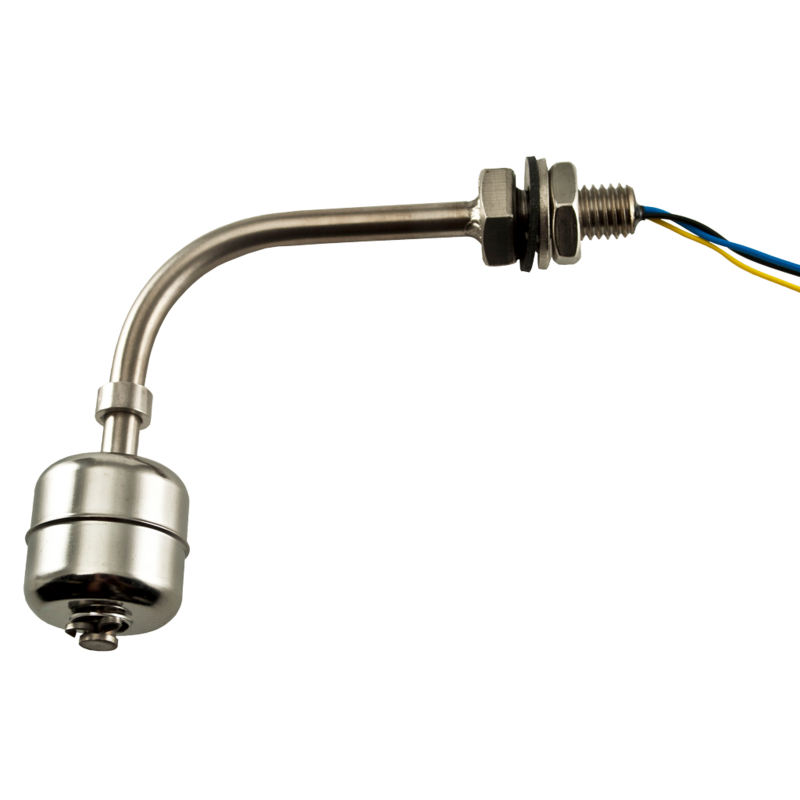 The 70 Series Float Switch is a horizontally mounted vertical liquid level sensor manufactured in 316L Stainless Steel, making it ideally suited for use in high temperature or pressure environments. It is also suitable for use in chemically aggressive liquids, and can be changed from Normally Open to Normally Closed operation to allow for sensing of high or low conditions by rotating the orientation of the body through 180°. It is available in two versions dependent on temperature requirements: our Standard version rated to 120°C, and our High Temperature version rated to 200°C. Ideal for use in Beverage, Automotive, Pharmaceutical and Chemical Industries. 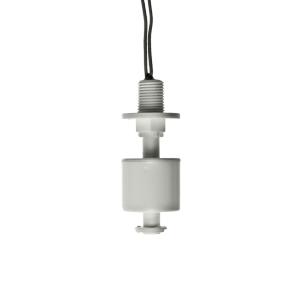 The 70 series is a small side mounted vertical liquid level sensor designed for high temperature/high pressure operation and sensing chemically aggressive liquids. The design provides a cost effective solution where high reliability in a demanding environment is called for. It is ideal for applications in food, automotive, pharmaceutical and chemical industries. 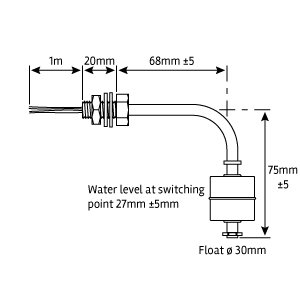 As shipped, the float switch is Normally Open and closes on rising to the switching point. This can be changed to Normally Closed and open on rising by inverting the float on the stem. Tank Wall thickness 5MM max.